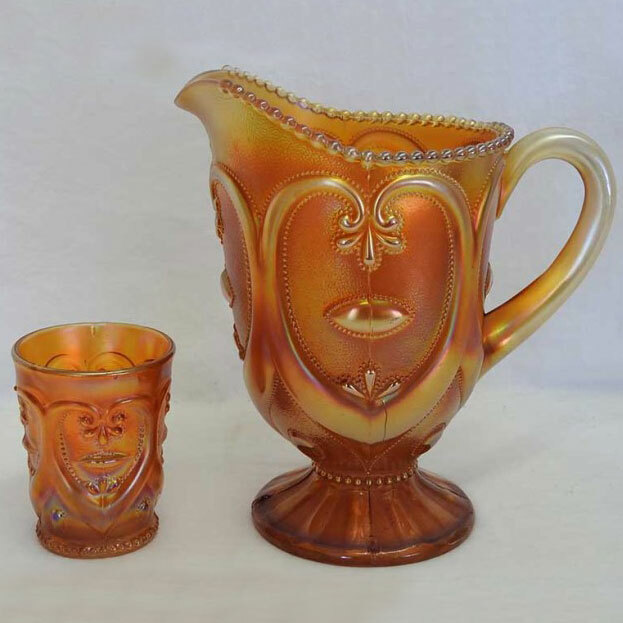 Pattern Description: Large heart shapes drawn with thick lines is the primary pattern on pitchers and tumblers (but is a secondary exterior pattern on several large and small bowls). A jewel hangs in the center of each heart. This pattern is known in water sets and portrays a jewel in the center of a large heart shape. 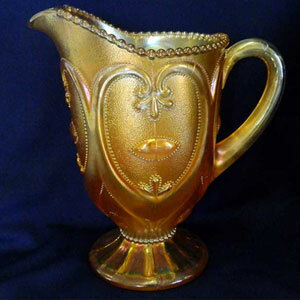 Known is opalescent pieces in pre-carnival it was called Victor. The water set is only found in marigold. As a secondary pattern, Jeweled Heart is found as the back pattern on the exterior of both large and small bowls with the following primary patterns: Cherries (collar base), Farmyard, Petal and Fan, Ski Star (beaded edge) and Smooth Rays. 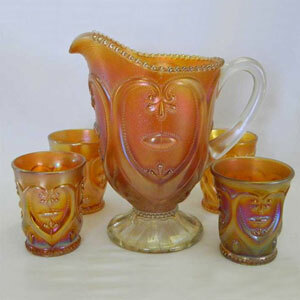 The bowls are found in marigold, peach opalescent and purple. Marigold is actually a difficult color to find. 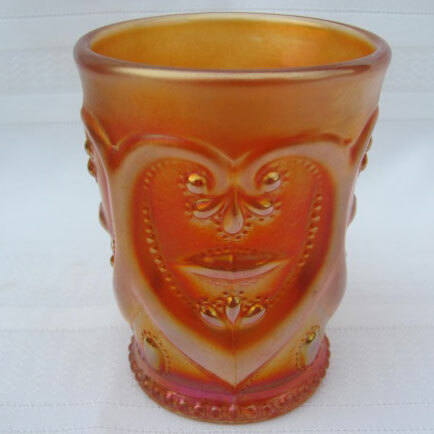 Peach Opal is readily found in Cherries, Ski Star and Smooth Rays but is very rare in the Farmyard pattern. Purple is found in all the primary patterns. A rare green Farmyard bowl exists.